The 23-year-old earned his eighth international cap and scored a try last weekend as the Scots battled back for an amazing draw at Twickenham against England. He was playing No.8 in that one, but his club coach believes he has all the attributes to kick on at blindside - and even compared him to one of Scotland’s greats. “I think Magnus Bradbury will turn into the six that Scotland have been looking for, for a little while – that sort of Jason White type player that is an enforcer around the blindside flank position,” Cockerill told TRU. “Magnus has done exceptionally well [coming back from a shoulder injury]. Magnus Bradbury thinks the epic Calcutta Cup draw with England at Twickenham can be a watershed moment for Scotland. “At Edinburgh, we’ve got a good environment where we work hard at what we do. Meanwhile, Cockerill is adamant that Scotland’s second half comeback against England will give the team confidence going forward and bring real belief to the group ahead of big challenges on the horizon. When the Scots were 31-0 down after the first half hour in the final Guinness Six Nations match, not many gave them a hope of getting out of London with anything apart from their tails between their legs. However, six tries in an amazing period put them 38-31 up only for the hosts to grab a draw at the death after a breathless 80 minutes. Cockerill, of course, has a foot in both camps having represented England on 27 occasions between 1997 and 1999 and now, he is the Edinburgh supremo who had nine of his players involved in the game for Scotland. 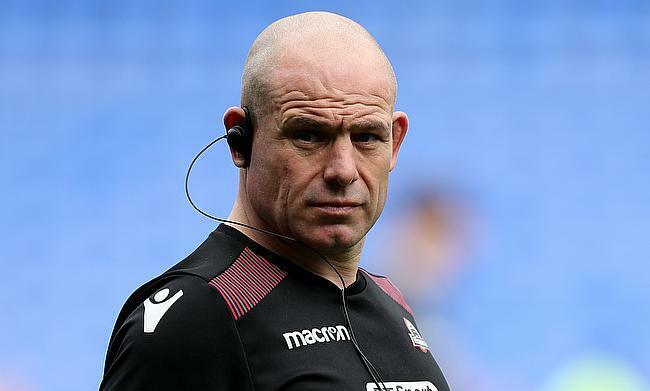 And he feels that Gregor Townsend’s squad - and Scottish rugby in general – has to have more self-confidence as things start to build up to the World Cup in Japan later this year. “I went down to the game on the invitation of [former England cap] Dean Ryan and after 20 minutes or so it looked like being a tough day for Scotland,” Cockerill said. “It was an unbelievable game of rugby, wasn’t it, one we’ll probably not see again for a long time and probably one that in hindsight Scotland will be disappointed that they didn’t win. “It just shows if Scotland have a little bit of belief in what they’re doing, and start better, then maybe they will win those games. “Defence coaches would react poorly [after that kind of game], I’d say! It’s difficult, isn’t it, because England started well and were so powerful and Scotland just didn’t hit their straps in that first 20 minutes at all. “When Stuart McInally scored - which was some try, it sort of gets lost in the game, but to charge down from 60 metres and outpace Jonny May to score a try, I’d be talking about that for a long time if I was him - it sort of stemmed the flow a little bit. “It just looked like England were complacent after half-time, because it had been relatively easy to score and Scotland hadn’t looked like scoring apart from that [try] from Stu. As mentioned, Cockerill had nine of his players involved for Scotland in the showpiece tournament finale including seven starting forwards - and he feels they have come back to the club in fine fettle ahead of big challenges in the Guinness PRO14 and the Heineken Champions Cup. “I was really, really proud of the Edinburgh players,” he said. “I thought Darcy Graham on the wing was excellent, especially the first try that he scored which was an outstanding finish. Even the second try, [Elliot] Daly clearly didn’t know how quick he was because he got in that corner pretty sharp. “I’m happy for guys like him who work really hard at their game. He is a tiny little man but he’s tough as teak. He’s worked bloody hard, and do you know what, he’s probably deserved his [starting] spot with Scotland. “Magus has done exceptionally well. [In Scotland’s best XV with everyone fit] Hamish Watson would be there by right [in the back-row], I think Magnus would be too and I think our two locks [Grant Gilchrist and Ben Toolis] have proved they’re probably the two best locks in Scotland - on form - at the moment. “And to be fair, the front row has been outstanding for us. Allan Dell played very well and we know the quality of Stuart McInally and WP Nel.